A photo by Ian of a CamOpt patient’s eye has been shortlisted for the BCLA’s photographic competition 2013. 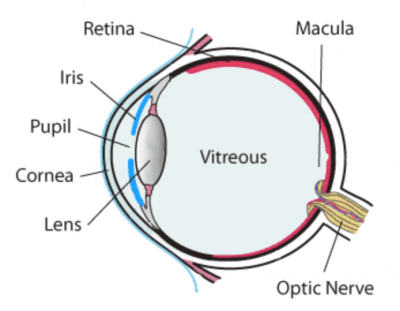 The lens sits behind the iris, the coloured part of the eye and is attached firmly. In some conditions the attachments weaken. 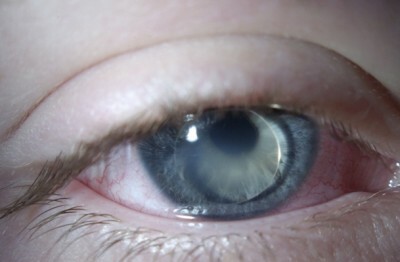 In 99.9% of cases the lens falls backward into the back chamber of the eye and you can’t see it, but in this case, it came forward, through the pupil and is quite visible. It’s amazing to see how sharp and neat a structure it is – it looks a like a man made contact lens.